« Out drinking in Charlotte? Someone is always watching you. Popular mixologist Bob Peters, who has proven his cocktail-crafting talent to the point of getting featured in publications like Garden & Gun and Southern Living, announced on his Facebook on May 17 that he is moving on. 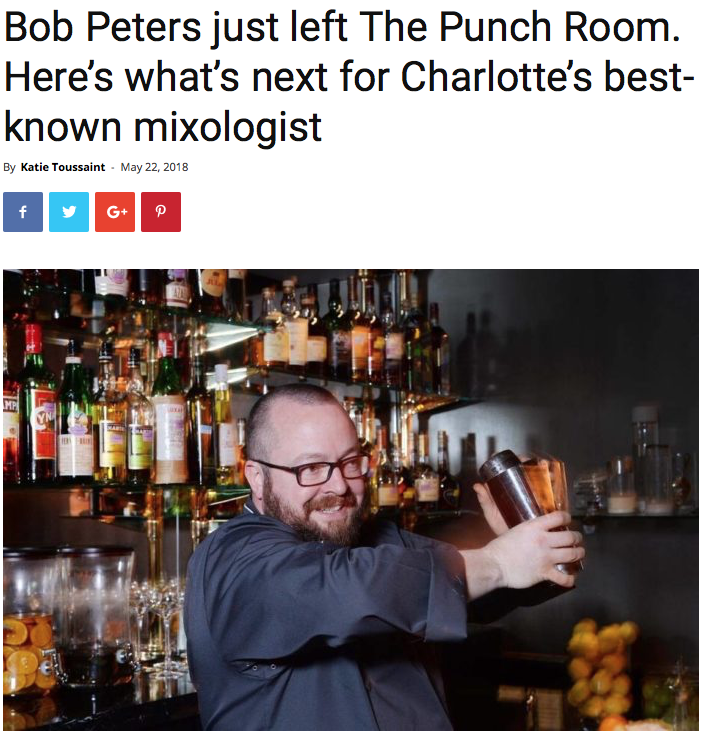 This entry was posted in Press and tagged article, bars, bartender, Bob Peters, bob the bartender, bobthebartender, Charlotte, Charlotte Five, cocktail, Cocktails, james beard, Katie Toussaint, Left the Punch Room, mixologist, mixology, outstanding bar program.